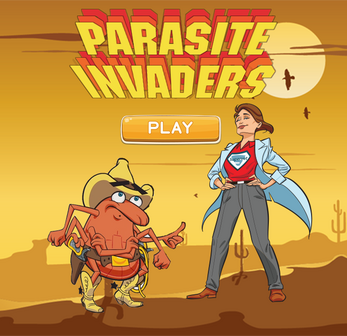 A fun 2d shooter game based on Space Invaders. 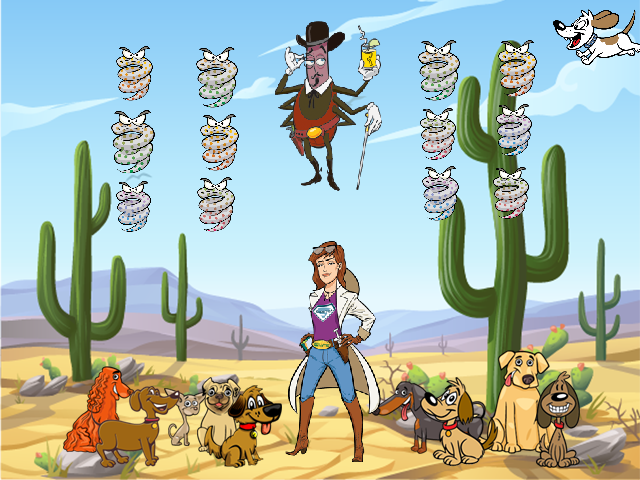 Protect the dogs at the bottom of the screen by helping SuperVet eliminate all the parasites advancing towards the bottom of the screen. 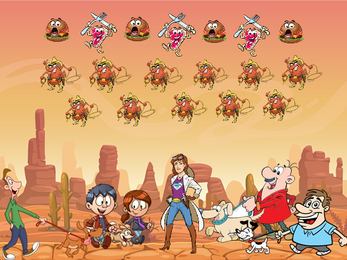 Hit the boss characters on levels 2 and 4 three times to eliminate the threat. 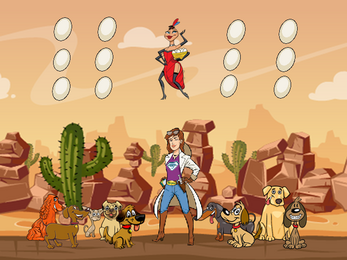 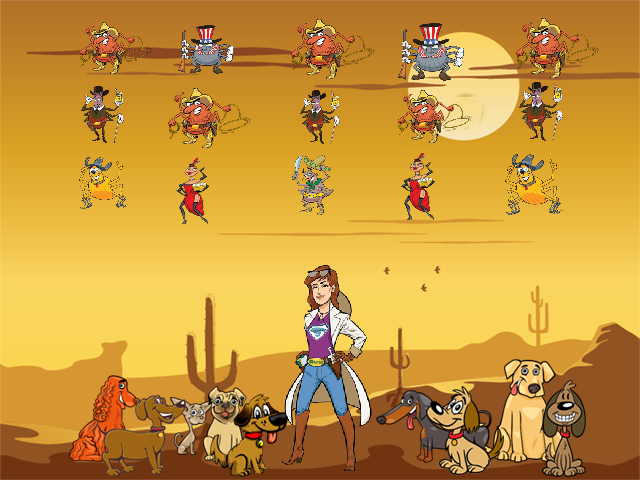 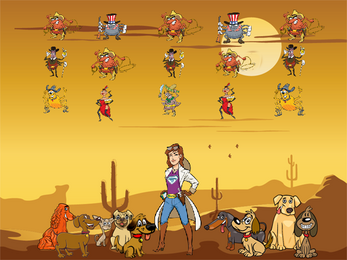 You can automatically jump from level 2 to level 3 by vaccinating the dog flying across the top of the screen. Be careful on Level 3 not to hit the hamburger or the steak characters or you’ll have to start the level all over. 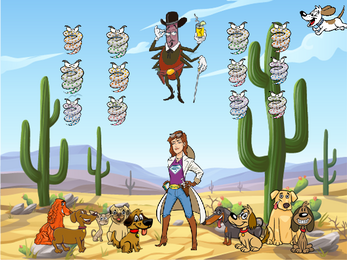 At the end of each level read the prompts to learn more about protecting your dog from fleas and ticks.